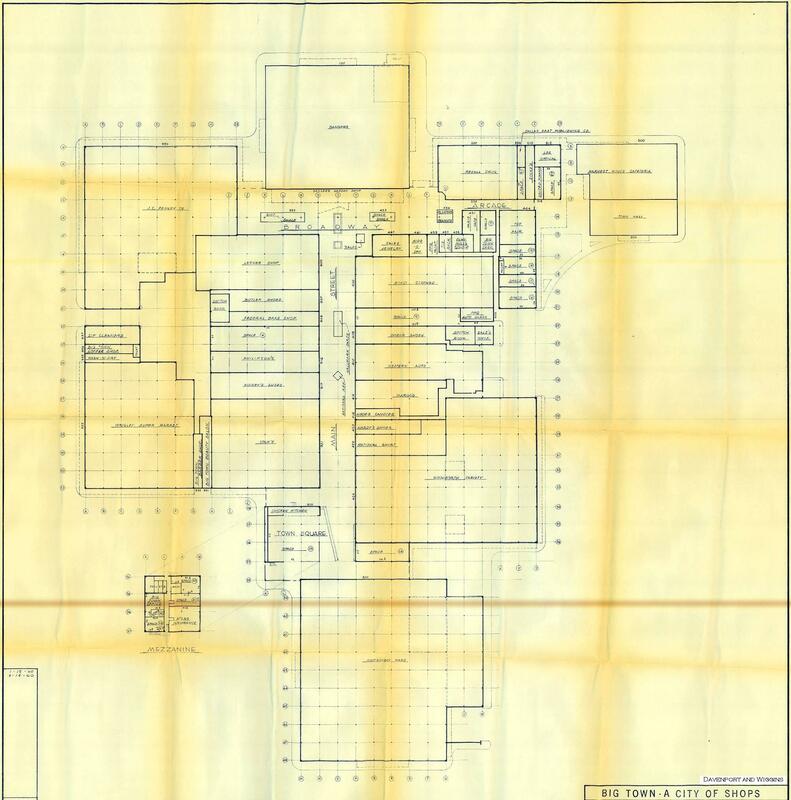 This plat is the floor plan for Big Town shopping mall, dated March 14, 1960, showing the tenant occupancy as of that date. Located at the intersection of Hwy 80 and Big Town Blvd and opening in 1959, it was the first enclosed mall in Texas. More importantly, it was the first enclosed mall in Dallas suburbia, contributing greatly to the end of downtown Dallas retail dominance.